‘There are no children, there are people’, ‘a child’s right to respect’, ‘a child’s right to preserve their identity’ – these slogans aptly sum up Janusz Korczak’s educational credo. But what do they actually mean? Janusz Korczak, the penname of Henryk Goldszmit, was a Polish-Jewish educator, a children's author, a doctor and an educator. In Poland, he is most well-known for his kids’ book Król Maciuś Pierwszy (King Matt the First), which every Polish child reads in school. Abroad, the Old Doctor, as he was known, is mainly associated with his work with Jewish orphans during the Holocaust. As the director of an orphanage in the Warsaw Ghetto, he refused sanctuary and stayed with his orphans when they were sent to the Treblinka extermination camp. In the past seventy years, many of Janusz Korczak’s ideas became part of the educational mainstream. The physical immunity of a child became a European norm and psychological violence is ever more frequently condemned. Respect towards children is becoming increasingly widespread. What does this mean in practice? What did the Old Doctor actually have in mind when writing down his theories? Korczak does not provide any universal formulas or upbringing instructions. In his works, he avoided definitions, rules, or recipes of any kind. In this sense, Korczak’s books are years behind modern manuals, which point to the exact number of hours a child should sleep, what children should eat, or provide tips on how to behave towards your offspring. The lack of universal instructions stems from the value Korczak attributed to experience. He underlined the importance of mistakes made by parents or caretakers when raising a child, as he believed that they were the only way to gain knowledge. Including the parent, not to say therapist, in the description of the relationship- with their child remains unique in professional literature, even fifty years after Freud’s explanation of countertransference. The more miserable the psychological level, the more colorless the moral make-up, the greater the concern for the teacher's own peace and comfort, the greater the number of orders and prohibitions dictated by apparent concern for the well-being of the children. Be yourself and watch children carefully whenever they can be what they really are. Look, and make no demands. For you will not force a lively, impulsive child to become cool, calm and collected. The distrustful and taciturn, will not turn frank and talkative. The ambitious and obstinate, will not be gentle and submissive. I shall not be able to make any of the children other than what they are. A birch will stay a birch, an oak an oak, and a thistle a thistle. I may be able to rouse what is dormant in the soul but I cannot create anything. It is much easier to discuss the upbringing system used by Korczak in Dom Sierot (Orphan House, although Korczak preferred to call it Dom Dzieci – the House of Children) and Nasz Dom (Our House, led by Maryna Falska since 1919). Its basis was upbringing in a team, as well as self-upbringing. One of the most important symbols of the children’s independence in Dom Sierot the fact that they had their own parliament. Children were divided into groups of five, there were twenty parliament members. The parliament had a budget equal to 5% of the expenses of the orphanage. Children could spend it on toys, entertainment, books – whatever they saw fit. Another crucial (albeit controversial) institution was the peer tribunal, established to resolve conflicts between children. Each child had the right to sue their friend or caretaker and the cases were tried by other children. The orphanage had an extensive system of shifts – children worked in pairs (older - younger; boy - girl). These shifts were meant to teach social cooperation and the importance of work. Korczak attached huge importance to them and wanted them to be perceived as an honour rather than a mundane chore. A similar idea was behind the caretaking committee, where older children were asked to watch over younger newcomers. It was set up to develop a sense of responsibility in the older children and a sense of safety and trust among the younger ones.Other innovative solutions in the Orphan House were a newspaper, a notice board, a mailbox, and a notebook, which kept a record of all transactions made between children. Korczak strongly believed in the importance of the written word (although some may have considered it excessive bureaucracy). He believed that it helps with expression and character development. He also claimed that there are things that children do not want to talk about, but may sometimes be willing to write down their feelings. He expressed similar views in his children-oriented supplement in Nasz Przegląd, the biggest interwar Jewish newspaper written in Polish. Mały Przegląd appeared every Friday from 1926 till 1939. The newspaper was written and edited by children for children (with a little help from grown-ups). 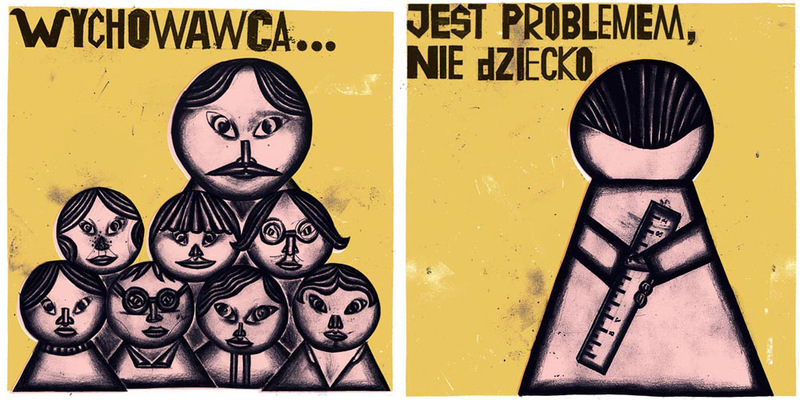 For 13 years, Mały Przegląd was distributed every week with a run of 50,000 copies, giving many children a voice in a world of adult strife and political unease. 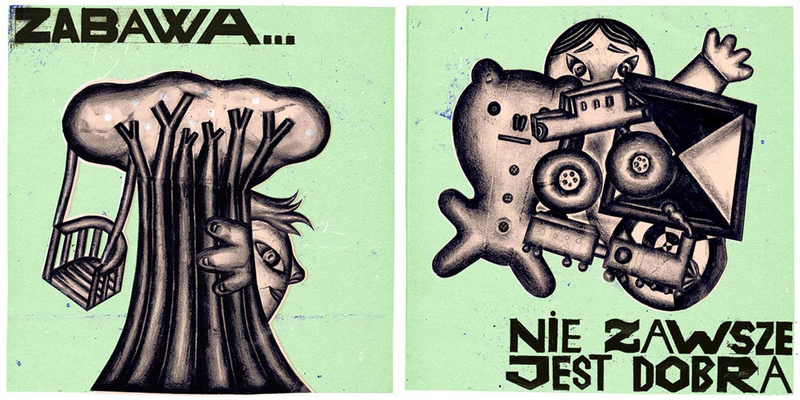 Another method which Korczak used to shape the children’s characters were… bets. Every week, the Old Doctor made a bet with his pupils. They agreed on a maximum number of offences (e.g. ‘I won’t swear more than five times’). After a week, they verified the results. If a child achieved their goal, they won three sweets. No one controlled whether they lied that week – another example of the rule of self-discipline and self-improvement. It is as though there are two kinds of life: one serious and respected, another forbearingly tolerated and less valued. We say that they are future people, future workers, future citizens. That they will be, that their life will truly begin later, that it is not serious until the future. We indulgently allow them dally alongside, but we are more comfortable without them. Children are foreigners, ignorant of the language, of where the roads lead, and of laws and customs. Often, they prefer to explore for themselves, asking for directions and advice when they find themselves in difficulty. Janusz Korczak became a sort of a guide or ethnologist, who examines an distinct tribe in order to understand its ways. Let us eagerly drink in the joy of young life and trust one another. This is precisely what children wish. They do not regret time spent telling a fairytale, talking to a dog, playing catch, carefully examining a picture, or practicing their letters – they do all this warm-heartedly. They are the ones who have got it right. (…) it is the strong brutes who mold modern life, homo rapax: they dictate the way forward. Their concessions to the weak are lies, their respect for the elderly, the equal treatment of women, and their kindness to children are dishonest. The flip side of a child’s right to respect is the guardians’ duty to find that respect and attention in themselves, which means work on the self-improvement, so often highlighted by Korczak. The linoleum in a small child's room. Would not a large heap of lovely yellow sand, a sizeable bunch of sticks and a barrelful of stone be better? Perhaps a plank, cardboard, a pound of nails, a saw, a hammer and a lathe would be a more welcomed gift than ‘a game’. An instructor in handicrafts would be more to the point than a master in gymnastics and piano playing. Surprisingly though, Korczak used corporal punishment. 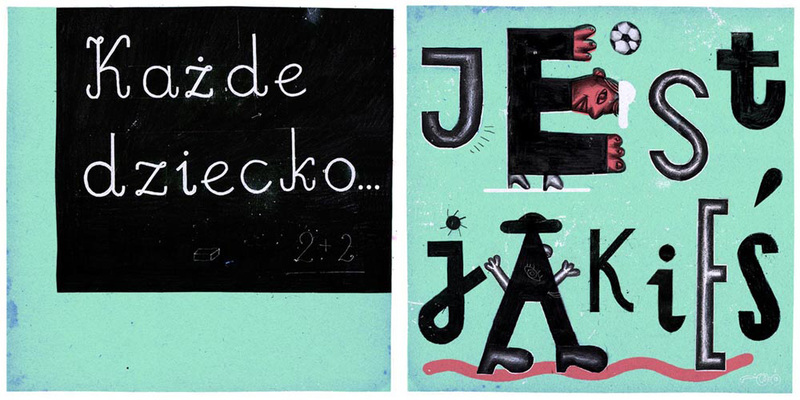 We can read about this in his Playful Pedagogy or Jak Kochać Dziecko: Internat. Kolonie letnie. Dom Sierot (editor’s translation: How to Love a Child: Boarding School. Summer Camp. Orphanage). …he turns to playing of necessity, runs off to play to escape from the miserable boredom, shrinks from the awful emptiness, hides from the frozen duty. Korczak was much more unconventional and radical than we think. In fact, we still do not know all that much about him. That is why it’s all the more worth reading his works.